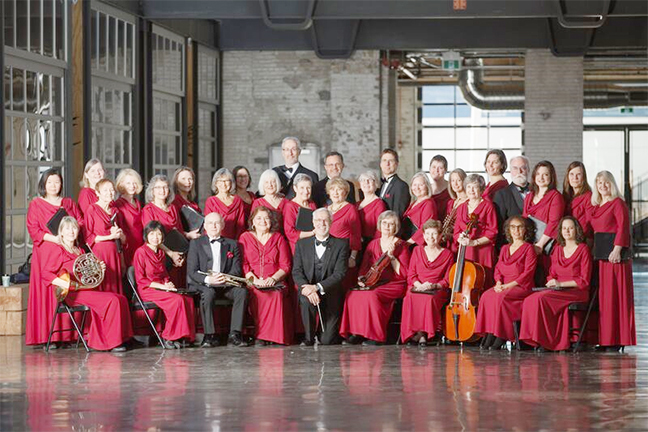 The Toronto Beach Chorale performs its final concert of the season on the evening of Friday, April 19 at St. Aidan's Church in the Beach. Photo: Submitted. The Toronto Beach Chorale performs its final concert of this season on Good Friday with a presentation of Maurice Durufle’s Requiem. Works by Gounod, Faure and Poulenc will also be performed. The concert takes place on Friday, April 19 at St. Aidan’s Church, 2423 Queen St. E., starting at 7:30 p.m.
Tickets for adults are $25 in advance and $30 (cash only) at the door. Tickets for youth ages 7 to 18 are $12.50 in advance and $15 (cash only) at the door. Children under seven are free. The Toronto Beach Chorale features professional musicians, and guest soloists will be Jillian Yemen, mezzo-soprano and Johnathon Kirby, bass.